I’ve tried the Darshana Indian Hair Oil and I absolutely love it! Now I’d like to share that love with you by giving away four bottles of Darshana Indian Hair Oil. 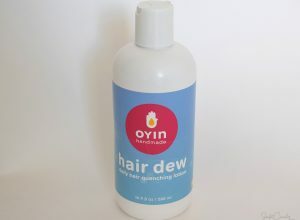 Do you have dry or damaged hair or are you just looking for a product to keep your curls healthy? If so, you should definitely give this amazing hair oil a try! That’s exactly what the Darshana Indian hair oil did for my curls: it didn’t only make my curls a lot shinier, but also healthier. My detailed review of it will soon be published on NaturallyCurly. The lucky winners will then be announced on my blog! Yes! I have the same problem! It’s that frizzy under layer that never clumps. I am hoping that the tips I’ve picked up here (just discovered this wonderful blog today) will help with that. I just placed a huge order for several products that you’ve recommended. I have hair very similar to yours… 3a curls. Hi there! I have just started following your blog after endlessly searching through curly hair blogs and sites attempting to find the fit for me. I’ve learned SO much already reading through all your tips and tricks! MY HAIR NEEDS HELP! I currently in El Progreso Yoro, Honduras. I moved here a year ago from Tennessee, USA to teach English in a local elementary school and translate for two missionaries living here. This hot and humid climate has been SUCH a struggle for my hair and I have been searching and searching for products that could help out this dry, frizzy mess … quite difficult on the tiny budget that I have. After reading a bit about the Darshana Indian Hair Oil, I think it could definitely solve some of the curly hair dilemmas I’ve been facing. So, please consider donating to the cause …. that being the nasty mop of a mess I have down here in Honduras! I would like the opportunity to show off my curls by bringing them back to life. My hair is dry and very frizzy, so I always wear my hair in a pony. My curls are dull and lifeless and have no shine. I love my curls but just need to find a product that will make them look shiny and touchable. I think Darshana Indian Hair Oil can do that for me. I should win this product because I have to find that holy grail product for my own set of curls/wave/frizz. I’d like to try the oil because I could do with more shine and health in my hair. I’ve only really tried coconut oil so it would be fun to try another oil. I started my hair journey over a year ago, and since then I’ve learned SO MUCH and my hair has become a lot healthier. But, my hair still is a little damaged and it CAN’T GET ENOUGH of moisture! I have yet to find an oil (either pure, like coconut oil, or a blend) that my hair likes. From what I’ve read about the Darshana Indian Hair Oil, I think it would be a good match for me. Also, I live in a large family and we don’t have much money to spare on things like hair products! Thank you and good luck to the other participants! I would like to win a bottle to try to tame the frizzies in my curls. well, why? If you could see my hair … I’ve been desperate to tame my curls all my life! I am still looking for the best products for my hair and I would really love to give this Darshana Oil a try. My hair has been so dry lately and in desperate need of an extra boost. This product seems like it would be that “extra boost.” Unfortunately, it’s a little costly, and the company I work for has been sold. My last day will be July 3rd. Winning this would be such a blessing. I have to be honest, I’m really tired of spending so much money on hair care products that haven’t worked. This oil SOUNDS amazing but it is so expensive! I would love to win a bottle to try it out and see if I like it without spending the money on it. I would love to win a bottle of Darshana Indian Hair Oil! I have dry, frizzy curls and I do everything the experts say. I went to a Deva stylist a few weeks ago and he said my hair felt a little producty (I told him it’s b/c my hair gets really frizzy) but that he would show me how to style my curls without frizz and without the producty feel. As he was drying it he said, “Wow, your hair really has a tendency to frizz.” Yup. Told ya! 🙂 Then as he continued he said, “The ends really want to frizz too.” Yup, they sure do so I put a little extra on the ends. He never did show me how to style my curls and my hair felt more producty when he was finished then when I arrived! I do love the cut though! I’ve tried other oils but they just leave my hair heavy and oily. I love your blog! I just found it through Naturallycurly.com and have been reading it all! Thanks for sharing! *than* when I arrived. Oy! My daughter and I been on a lifelong journey with our curls, too. She was born a 3b, and still hates her curls at 20 years old. As for me, I started out wavy (2a) and have gotten curlier as I age (and go grey!). I’m about a 2c now. We have a cupboard full of half-used hair products, and continue trying different products to find what might work for us. It is hard to find a non-silicone product that will decrease the frizz and give a naturally healthy look and feel. We are having even more problems now, with our hot, humid summer that really turns up the frizz! With my daughter’s wedding coming up in August, something to control the frizz would be a godsend. I would love for us to try the Darshana Hair Oil to tame our curls and frizz! This may be the Holy Grail product that we’ve been looking for. Thank you so much for your blog and all the helpful information that you post! I would love to win this! I really want something better for my curls than I’m using now. I can’t afford this normally so it would be awesome to win! Hello from Kentucky–land of super humidity!! Really enjoy your blog. I’ve got dry 3b curls that just love to frizz. If it’s quiet enough, I swear you can hear my hair sucking in the moisture from the air. I’ve tried lots of products, but I’ve yet to find anything that can handle my fuzz. I’ve always joked that having long curly hair is like having a stubborn pet who’s going to do whatever he wants. Would love to give Darshana a try. I’m just a curly haired mom of two boys who happens to be a teacher. So inn it able to splurge on hair products like this oil. It sounds a awesome and I’d totally use it! I absolutely love your blog– thank you so much for all of the wonderful tips! I can’t find anything on your haircut…. Have you posted about it? If not, could you dedicate a future post to how you get your hair cut? Any experience with deva curl or ouidad cuts? I have had 2 ouidads and they are ok but soooo expensive. Your hair is beautiful– so of course wondering how you get yours cut! I would like to try this product because I’ve never tried oils on my hair. I’ve made the transition to wearing my hair curly. I’ve always thought that using oils would make my hair oily and bring down my curls. But after reading your review my mind is changed. If follow on IG @bluebrainnails. I’m a Swiss Girl with curly hair… and would be so happy to win the Darshana Indian Hair Oil! Thanks so much for sharing this product with us! I would love to win! I’ve been trying to embrace my curls, but haven’t figured out a good routine for the southern humidity since I moved to Louisiana last year. I’m also trying to not be a product junkie. Please pick me! 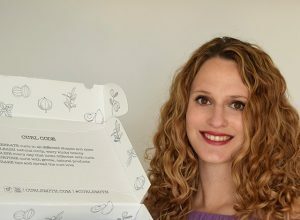 I just found your wonderful and informative blog today through the Naturally Curly website. I used your diffusing method tonight and I’m sitting here with big, bouncy curls! My hair gets so weighed down by oils and silicones, I’ve always avoided them. But this summer has been so humid, I joked that I actually had two hairstyles, my curly hair and my frizz halo. It was ridiculous. I’d love to try out the Indian Oil and see if that helps my “other hair” 🙂 Thanks for all your great tips and tutorials. Okay, going back to reading your blog now. Hello there! I have just found your blog and have not been able to stop reading all day. I have been a curly girl my entire life, however, have recently undergone the curly girl method. It’s been quite a learning experience and everyday I learn something new about my hair type. I have felt the same way about oils and have been afraid to experience with one on my dry, frizzy curls. It would be an answered prayer to win this product and to be able to finally find a solution for my curls. Thank you for sharing this product with us. I’d love to win a bottle. I have type 4 hair that is super dry, and because of that dryness, it is super frizzy. I am in search of something to help tame my frizz, so I can finally enjoy my coils. I’d love to see if this oil will work well on more tightly curled hair like mine as well as it worked on yours. I sure hope so! I’d love to win a bottle in hopes that it will give some life and moisture to a trouble section on the back of my head. Moroccan oil made my hair frizz even more, but maybe this will do the trick for me! Your hair is beautiful by the way! I would like to win one of the bottles because my hair are so dry during the summer with a lot of frizz. When I leave home my curls looks great, defined, not much frizz..bud one hour later its frizzy and I don´t really know how to fight it. I tried a lot of different products, but nothing is helping. I have the same pattern and lenght of curls like you do so I thing maybe this one will work. I discovered your blog post about Darshana oil via naturallycurl.com qhile researching for natural hair treatments. Ive been natural for about a year and man it has been a journey. My hair has been through it all- perms dye texturizers all in the name of trying to look like what girls mostly see in media- straight hair. I wasnt in to curly hair until I saw an ESPN correspondent’s beautiful natural hair and it inspired me to embrace my curls. Ive see baby pictures of me with curly hair but my poor naive mother gave me a treatment at age 3 to make my hair “manageable”. It is a shame that some people think curly hair is unruly and not manageable but I’ve learned so much about the curly hair community and myself this past year. There are times when I just want to straighten it and go but I dont want to erase the hard work and patience (sometimes lol) that I’ve been going through. Ive read that Darshana is amazing for hair and I would love to try it out and hopefully become a fan and apply it to my life changing hair journey. Thank you! I had a devacut 2 years ago and lost 5 inches which is A LOT in the curly world. I’m still trying to grow it back but am having a lot of breaking. I’d like to try the oil to help!! I’d love to win a bottle because it seems like a great product but it’s not something I can afford right now. I have brown hair and it always looks dull due to the color. I’d love to have some lasting shine and get some moisture along with it! I have dry, curly hair and while I love my hair I would love for it to look and be healthier. My girls both have thick, almost waist length curly hair and they use to HATE their curls. Seeing me embrace my curls (I use to mainly wear a bun…I can thank the military for that), has made them appreciate their own curls. I would like to try this oil and incorporate it into my regimen for healthier hair. I love being a role model for my girls and would like to continue to show them the beauty of curls through my own healthy head of curls. I’d love to win a bottle because I’ve only had curls for about a year and a half and I’m still figuring out how to deal with them! Before that my hair was wavy and frizzy, but for some reason it decided to go into corkscrew curls. It also went from being oily to very dry. My son is getting married in August and I’ve been trying to find something to give my curls a silky look like yours, but without success. I’d love to try the Darshana Indian Hair Oil to see if it’s the product that makes a difference, so my hair will look its best at the wedding! Because after 30 years of straightening my curly hair I need all the help u can get! I’ve liberated my curls 6 months ago! I would love to try this product! I am constantly talking with other curlies about the products I use and how they feel in my hair. There are so many that don’t know where to go for information or which products to buy. I’ve been wanting to an oil to my regimen but wasn’t sure where to start so this would be a great opportunity! Just like you before you figured out how to perfectly style your curls… I have always struggled with styling my curly hair and I always joke that it’s a 23 year (I’m 23 years old) battle of trying to figure out how it works. I am constantly trying different products to figure out what works best for my curls and I would love to try the darshana oils. My hair works great with oils and just soaks all the hydrating goodness up… And it will still appear to be frizzy and dry. I have been trying to find an oil that is moisturizingly heavy enough to take care of the dryness and frizz ones but an oil that also won’t weigh down my curls when I use it or leave them looking greasy. I look forward to learning/trying more of your tips and tricks! Keep up the great work and I hope I can win and try this awesome product!!! Thank you! I’m really curious lately on hair products from India. I’ve been wanting to go to the market to find neem powder. This oil sounds great! I’m curious also to try it with the LOC method. Just found out about your blog today. Thanks! I would love to try this oil you recommend! I’ve been following your blog on and off for a little while now, I believe I found you through naturally curly.com. Like most of the other posters here I’ve struggled with my hair for nearly my whole life. It wasn’t until recently that I’ve cut off the damage bits and really tried to work with my natural curl. It’s been a long journey but I’m definitely getting there! I too have dry sections in my hair and have tried oils in the best blindly as I know they’ve become popular. 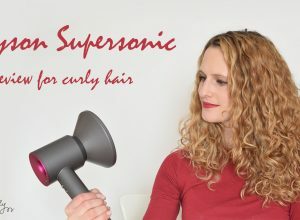 It would be nice to try something that’s been tested by a fellow curly head and is known to work for her! Thank you!! I should like to win a bottle of Darshana Indian Hair Oil to help boost the moisture level of my hair! I’m new to the curly girl method so I’m trying to rid my routine of silicones. Hi! I would love to try this hair product! I’m in high school, starting my natural hair journey and I’m currently in the process of transitioning. I’m slowly learning how to embrace my curls :D. Naturallycurly.com recommended this oil for my hair type and I’d love to give it a go. My hair is pretty damaged and dry and I’d love a good oil to seal moisture into my hair after wash and gos, braid outs etc. I’m pretty new and inexperienced with this natural hair stuff but I’m going to give it a shot, and this product would be perfect for helping me! Thanks for sharing your review as well! I’m excited that I found your blog! I need to learn new techniques to show off my naturally beautiful curly hair. I’m always pulling it up. I found this blog trying to learn and figure out how to give my hair the chance to shine, be beautiful and full of life. I was opened to any suggestion and any professional (or not) advice. I would love to win a bottle of this oil. I have waist length curly hair which I used to straighten. 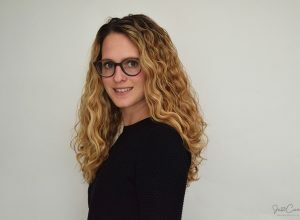 But now as a new mum with not much time Im trying to embrace my curls, but have failed to find a product which keeps them looking lush and not frizzy! Hi Sandra! I first found your blog and YouTube from Instagram after I spent so much time as a curly newbie looking at other peoples frizz free curls on the Internet and wishing I had their hair. I’ve been following your Instagram since you had 5 or 6 posts. After using the tips and products from your blog, my hair is starting to somewhat improve. We have a very similar hair type, so I’m hoping if I’m chosen for one of the bottles it will transform my dry limp hair. I’ve tried every hair oil you can think of, and not even coconut oil made a noticeable difference on my hair. I’ve heard so many great things about this particular oil and I’m hoping you choose me to finally get the chance to try it! I am a curly newbie who just discovered your blog. I’ve always straightened my hair. Recently, my hair texture changed to the degree I didn’t know what to do with it. I was encouraged to go curly and let it do what it wants to do. I’ve had to completely relearn hair. I’m at the beginning of the journey learning about curl type, products, etc. I’ve used Moroccan and Macadamia oils previously with straight hair. I’d love to try it while learning to go curly. It’s time to change up my hair routine for the hot, humid Washington DC summers. My normal routine is very similar to yours, and works beautifully during the other times of the year. But I need a new product to tame the frizz that I’m now battling every day, and I think a layer of oil before my other products might be the trick! I’d love to try this product, especially if you recommend it! I would like to try this oil for my dry curls, especially my ends and make them healthy and shiny! Hey! I hope I can enter this giveaway too because I live in the Netherlands. My curls have been very dry and uncontrollable for a while now. I have tried everything, from expensive shampoos and conditioner to inexpensive and fully organic ones to finger combing, air drying, blow drying and so on and so on. I can’t seem to find an oil that doesn’t leave my hair in gross greasy strands. Because you seem so excited about it, I hope this oil can help me make my hair less frizzy and the curls more defined. Hey! 🙂 I would love to win this oil because I am going to bleach some parts of my hair soon, so I need some extra moisture… also, I don’t have a lot of money which is the reason why I can’t really order good brands like sheamoisture (I live in Switzerland and you know we don’t have the best curly hair care products here…) so I would be really glad to get one of this oils for free! I would absolutely LOVE to win a bottle as I am always on the look out for products that would make my curly hair look the best, especially as I would love to encourage the younger girls from my culture to embrace their natural hair. Their parents always comment on how my leaving my hair natural makes their daughters want to copy me and embrace their curls! It’s so heartbreaking to see young girls continuously using hair straighteners from a young age and damaging their beautiful hair. However, it’s even worse to hear them describe their natural hair as ‘ugly’ or ‘unmanageable’. For this reason I am always encouraged to leave my hair natural (3a curls, very similar to yours!) so as to be a role model to these children and to help them see that curly hair IS beautiful, and after hearing your review on the darshana oil, it seems like the perfect remedy to showcasing beautiful frizz-free curls to these youngsters! P.s. I love all your fabulous hair tips! 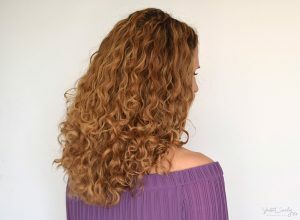 I read your review of this oil on the NaturallyCurly website and followed the link to your site. Between mostly having very short hair and always brushing and vigorously towel drying my hair, I didn’t even know I had curly hair till a couple of years ago. Websites like yours and NaturallyCurly helped my figure out that those odd sticking-out bits were really curls. Thanks! It is nice that you’re giving away bottles of the oil, but from reading the comments here, you may have a tough time picking winners! Good luck and have fun. p.s. : I’ll be giving a few some products again any time soon! Hi Yewande, I’m sorry to let you know that the contest is already closed and the winners were notified about 2 weeks ago. But still thank you for your comment!